The Rhode hybrid demo project comprises two Beacon Power 160 kW flywheels and Hitachi Chemical valve-regulated lead acid batteries of up to 240 kW. The plant will have a maximum import capacity of 400 kVA and maximum export capacity of 422 kVA when completed. Schwungrad says that the flywheel system has very high cycling ability and can rapidly absorb short-term excess grid energy and generate energy as needed by grid operators. The company adds that the batteries can provide energy over longer durations but have more limited cycling capabilities. The hybrid flywheel will assist in disruption mitigation, during times of unexpected demand or sudden changes in energy supply/demand. 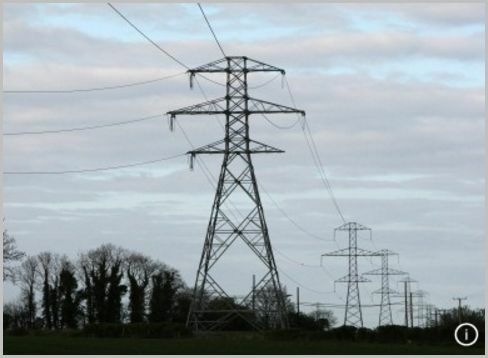 Schwungrad developed the hybrid power storage system in collaboration with the Department of Physics & Energy at the University of Limerick and will work with the Irish transmissions system operator to connect the plant to the grid as a demonstration project under Ireland’s Smart Grid Programme. They’re going to need a lot of batteries to do that. 160 + 240 = 422? Nothing wrong with the idea, but some estimate of costs would be useful. Also the scalability aspect. The plant will have a maximum import capacity of 400 kVA and maximum export capacity of 422 kVA when completed. my bold. thanks for the correction. Teach me to look closely at the small print with these “new” world saving ideas. The import / export can be thought of as “charge rate” and “discharge rate”. The bigger issue I see is they state kVA but not kVA-hours. So it takes a big surge. For 10 seconds, or 5 days? Also omits internal charge / discharge loss rates and self discharge loss for the batteries. There is so much missing information and things they are NOT telling us, including setup and operational costs that it prompted my ‘perpetual motion’ comment. So it’s not ‘economically viable’ now, presumably meaning storage with lead-acid batteries isn’t either. So what we have here is a Heath Robinson affair that attempts to present itself as a solution for the inability of ‘Renewables’ to produce anything near the steady supply that a power grid needs ? If we were living in a world where hydrocarbons were actually running out, an emergency requiring the development of novel, if uneconomic, methods to produce the power that modern life requires, then this might be a runner. Fanakapan: it’s ‘a system that makes no economic sense’ designed to improve another ‘system that makes no economic sense’ i.e. wind turbines.